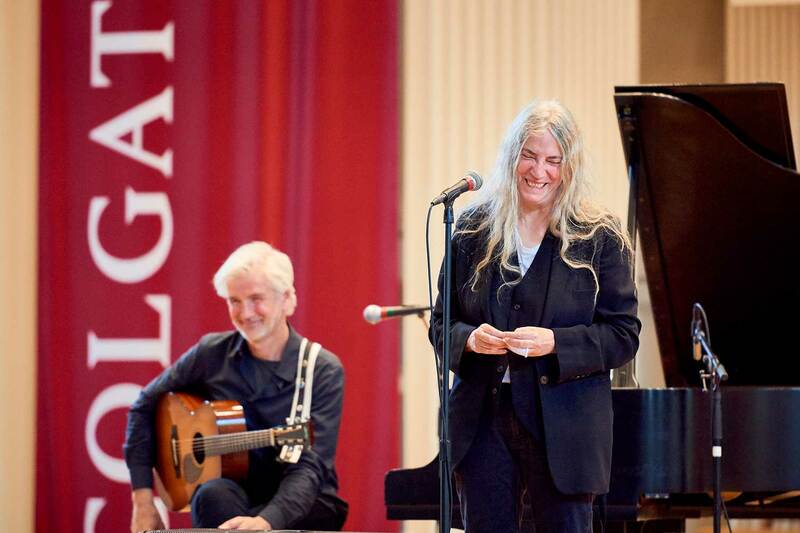 Smith, punk poet laureate, is primarily known for her music, having been listed in 2010 as one of the greatest artists of all time by Rolling Stone and a 2011 recipient of the Polar Music Prize. 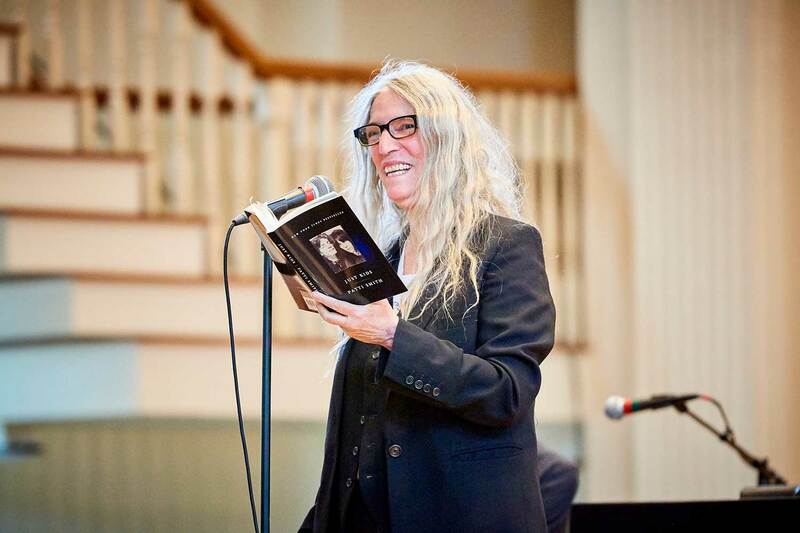 But the focus of the event was on Smith’s National Book Award–winning memoir, Just Kids, a work so influential it earned her inclusion on Time magazine’s list of the 100 most influential people in the world. 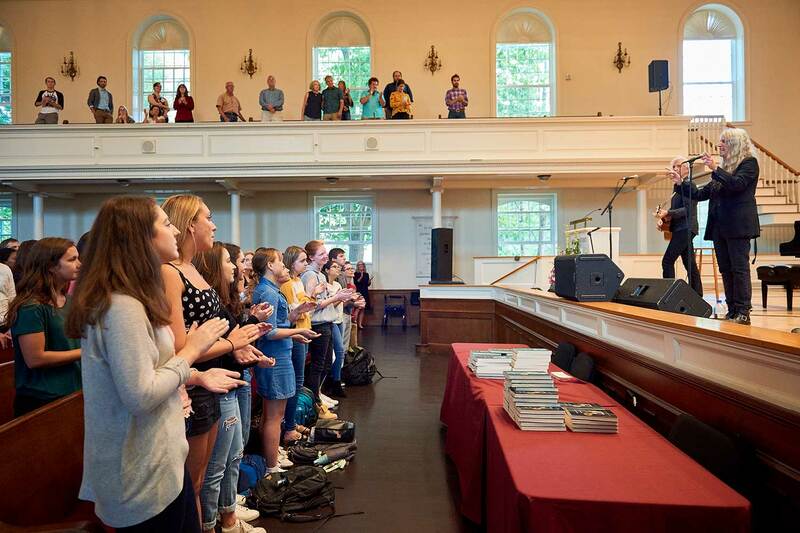 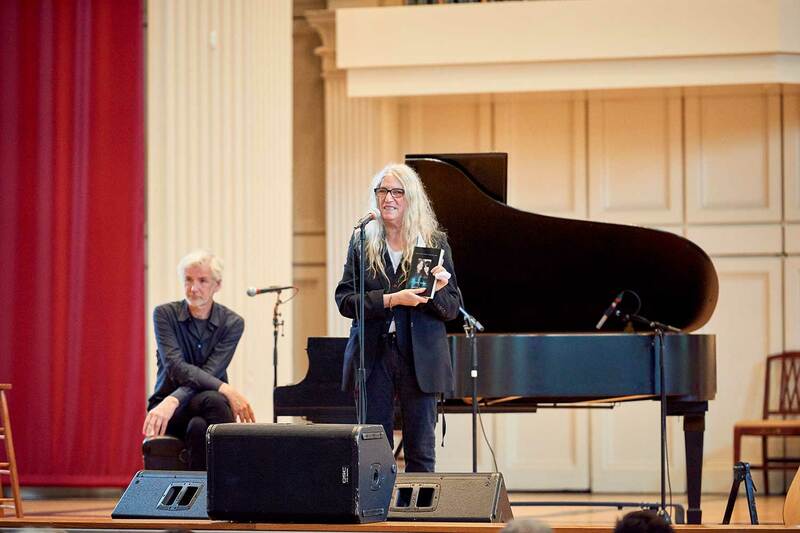 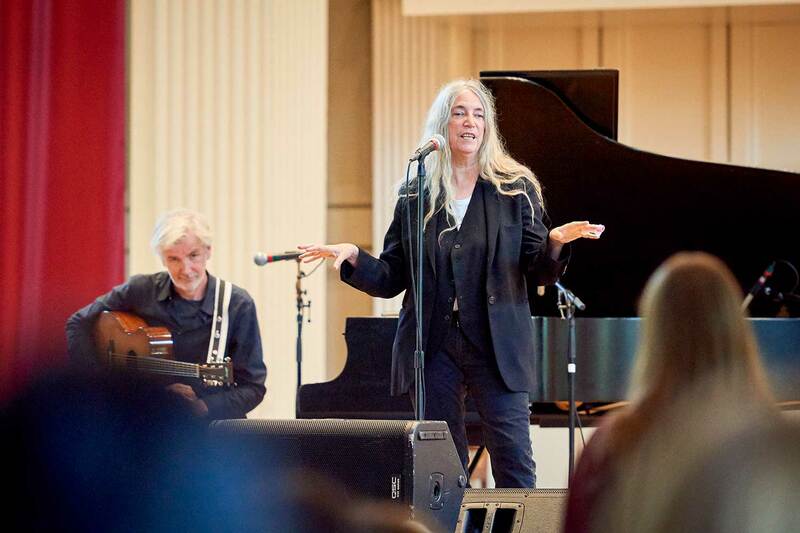 While most of Smith’s event involved readings from her book and recollections running the course of her career, she performed a number of her greatest hits, interspersed among — and relating to — the passages. 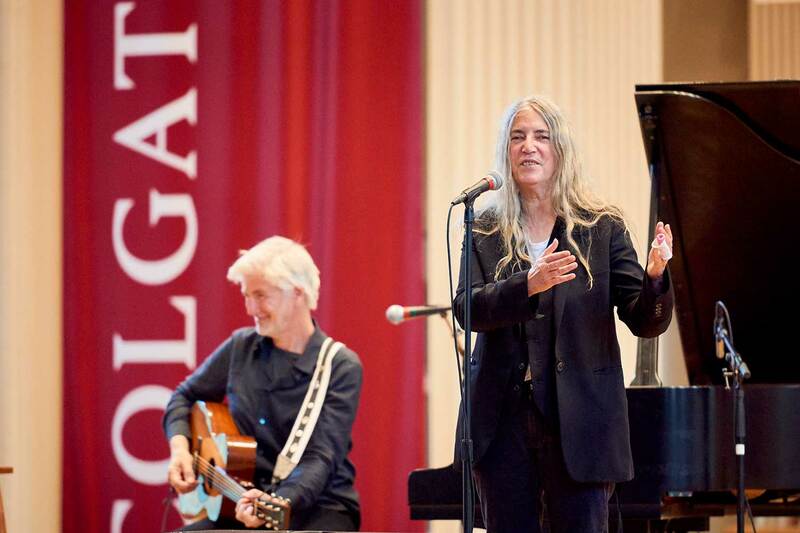 For a full list of Living Writers participants, visit colgate.edu/livingwriters.